In various cases it may be possible that the settings and rights of members of a room have to be changed, but there is no access to them - for example, if a user with the necessary rights is on leave. In this case, it is possible for the administrator of the organization to access and adjust the settings of the room, even if he / she is not contained in a room. How can an administrator of the organization access the room settings without being included in the room? 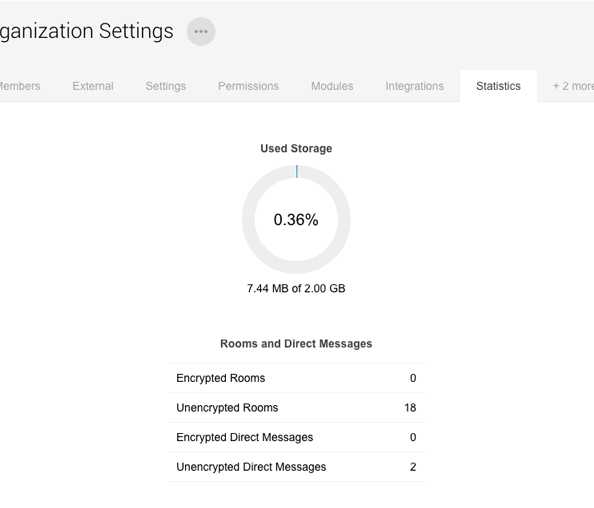 You can access the room settings via the settings of the organization, which can be opened by clicking on the own profile image in the lower left corner and clicking on "Organization Settings". Then the "Statistics" tab has to be selected. The options "Encrypted Rooms" and "Unencrypted Rooms" are located in the table at the bottom. 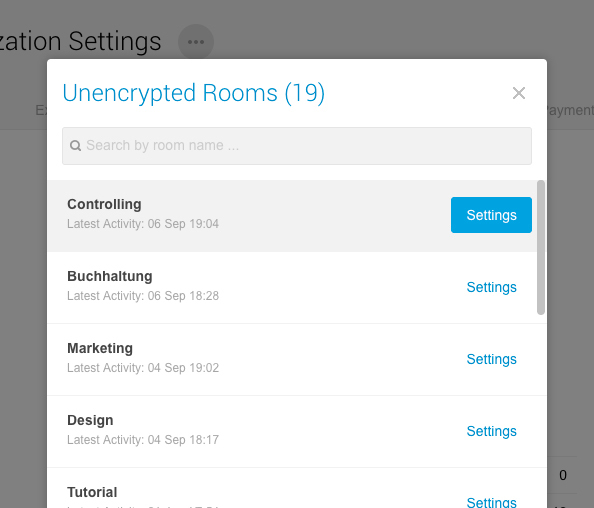 By clicking on these options, a list of the created rooms is opened. Besides to the listed rooms, the button "Settings" can be clicked, which opens the settings of the selected room. 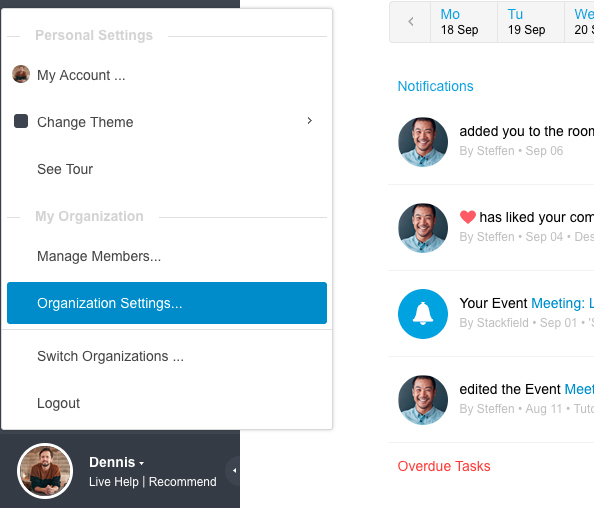 Within the room settings, users can now be edited or rights changed. However, it's not possible to add new users to a room.